New Delhi [India] : Toronto Recombinant Antibody Centre (TRAC) from the University of Toronto, Canada agreed to license MedGenome’s patented cancer immunotherapy solution OncoPept to develop biomarkers for their drug candidates against immune modulators to treat cancer. The licensing will form the basis of a larger partnership between the two organizations that can be leveraged to bring novel antibody drugs to the Indian market. The announcement was made at the one day Symposium recently held at the Hilton Mumbai, which was attended by scientists from over 25 Pharmaceutical companies including Sun Pharma, Biocon and Glenmark. The Symposium was inaugurated by Jordan Reeves, the Canadian Consul General in India. India adds over one million new cancer cases every year with greater than 60% mortality due to lack of effective therapies. Highly effective antibody drugs take years before they become available in India, and when available, have limited market uptake because of the price barrier. For example, the cost of treatment for the new cancer immunotherapy drugs can be as high as one crore rupees for a year of therapy. This provides a great opportunity for the Indian pharma companies to take advantage from the partnership between MedGenome and TRAC to bring new cancer immunotherapy drugs to the Indian market at affordable prices and further enhance the effectiveness of therapy by using the OncoPept platform to identify patients who will benefit maximally from the treatment. Toronto Recombinant Antibody Centre based in Donnolley Centre at the University of Toronto has developed a state-of-the-art phage display platform with validated screening technologies, and created a portfolio of over 200 antibodies focusing on cancer and cancer immunotherapy. MedGenome is a leader in genomics-based research and diagnostics capturing over 80% of NGS-based diagnostics market in India. 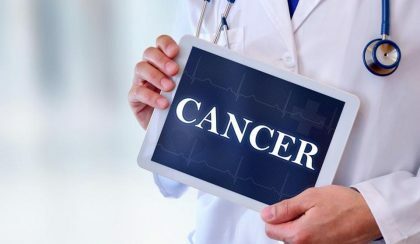 It has developed patented algorithms and pipelines to identify cancer vaccines to select tumors that will respond to cancer immunotherapy drugs, such as checkpoint inhibitors. The partnership will strengthen TRAC’s drug discovery and development pipeline by incorporating genomics data to advance understanding of diseases at a molecular level, thereby creating better drugs and biomarkers for personalized therapies. “MedGenome’s pipeline to dissect the tumor microenvironment at a molecular level will help in identifying new targets for which novel antibodies can be made,” said Dr. Sachdev Sidhu, Professor at University of Toronto.